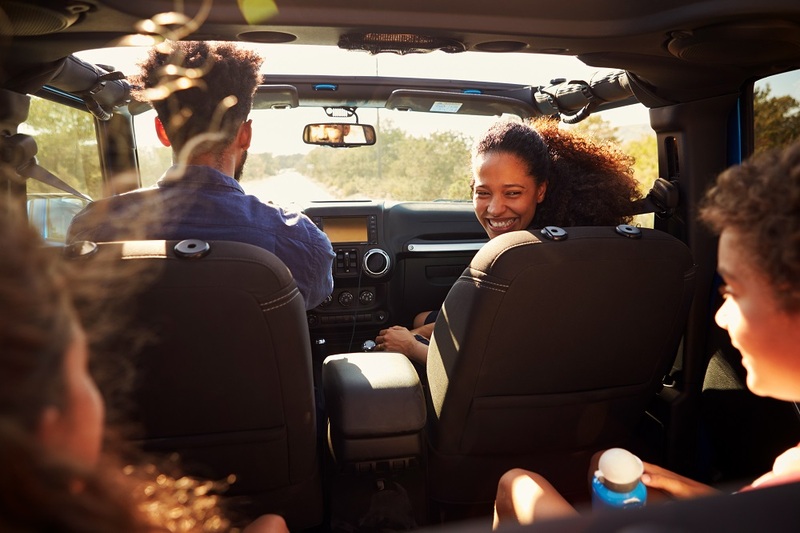 If you have a growing family and it’s time to start shopping for a new vehicle, it can be difficult to figure out what it is you need to start looking for. What counts as a family vehicle? Most people think it’s a minivan, but that isn’t always the case. A family vehicle can be anything from a mid to large sized sedan, an SUV, or a van. What do you need to look for in a family vehicle to determine what your family needs? We put together a list of things to consider when shopping to help you get started. Start thinking about how much space you need now for your day to day activities. You may need to look for a vehicle that can accommodate multiple car seats. Multiple car seats and booster seats need to be able to fit securely and safely, and still be able to accommodate for space if you need to transport other people or other cargo. If you have older children and need to select a vehicle for transportation between extracurricular activities, such as sports, it is important to have lots of cargo space within the vehicle. Look for a vehicle that offers that space, or has the ability to put down the back seats to increase your storage space. If a vehicle is transporting your family, naturally you will want it to be as safe as possible. There are many ways to measure safety. Some families will only purchase a vehicle if it comes with a guaranteed five star safety rating. You can also look at things like crash tests, the Insurance Institute for Highway Safety (IIHS) ratings of the car, and manufacturer safety guarantees. When you look at those safety guarantees, look at what kind of safety features the manufacturer offers. Many manufacturers offer high quality safety technologies either standard on models, or as an opt-in feature. Many Honda Canada vehicles come standard with Honda Sensing Technologies. These features are all designed to ensure your safety on the road. Any parent knows that a drive without adequate entertainment for their children can be a nightmare. Many family vehicles come with optional entertainment systems that you can add to make driving much easier. Honda vehicles come with the Honda Blue-ray, DVD and streaming rear entertainment system, which comes with a 10.2 inch display, a handheld remote, and two headphone jacks with two sets of wireless headphones to keep the kids entertained. Honda vehicles also come with the CabinWatch and CabinTalk systems. These systems allow you to see what’s going on in the backseat from your position in the cabin through the display in the dashboard. CabinTalk allows you to speak to passengers even in the third row, and also allows you to broadcast your voice through the headphones they’re wearing. This makes answering the endless “are we there yet?” questions that much easier. For more information on what the best car is for your family, come visit Henley Honda at our Lake Street location in St. Catharines. Our team will be able to help get you into the best car to suit all of your family’s needs.